Home > Redline Tailgate Series > Redline Triple Tailgate Red/Amber > What makes the OPT7 Redline Triple Tailgate better than the original? 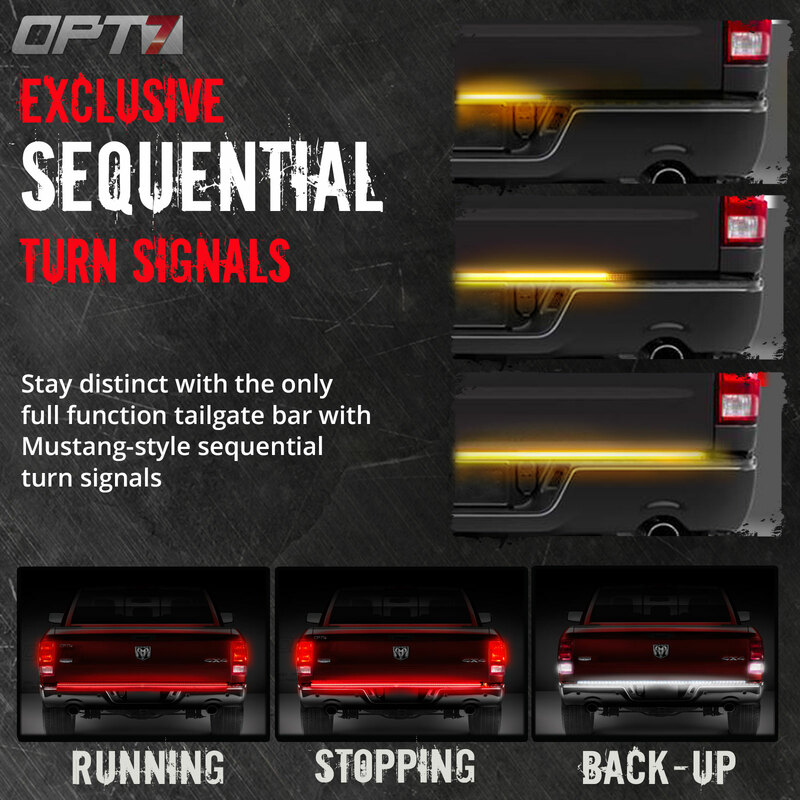 Introducing the OPT7 Redline Triple Tailgate! 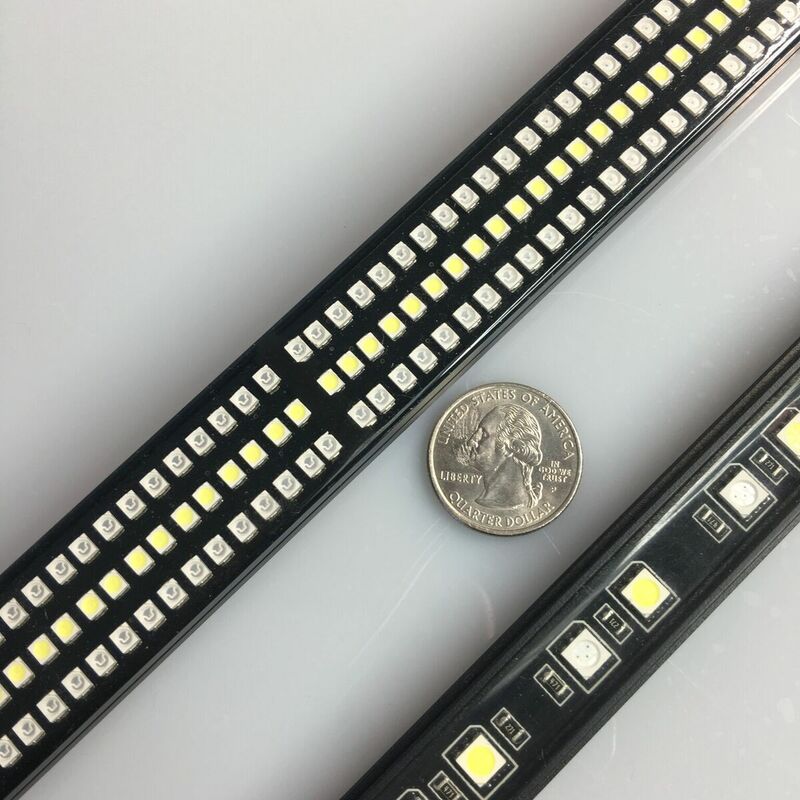 Triple offers two sizes for standard and over-sized trucks, 48" and 60 "
Now with more LED than ever! 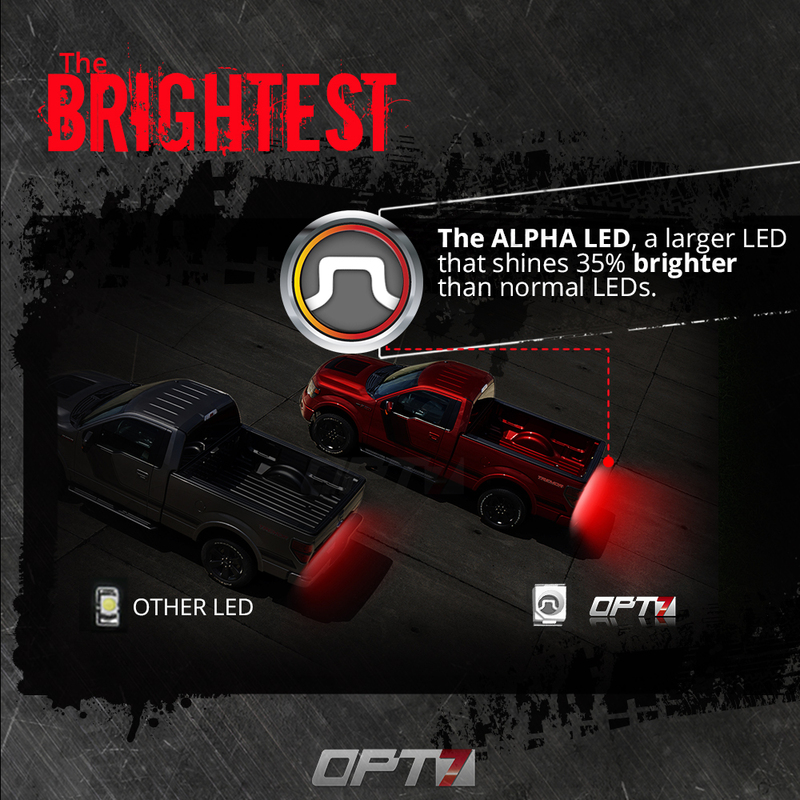 Mustang Style Turn Signals, bring your truck to the forefront of design and technology! 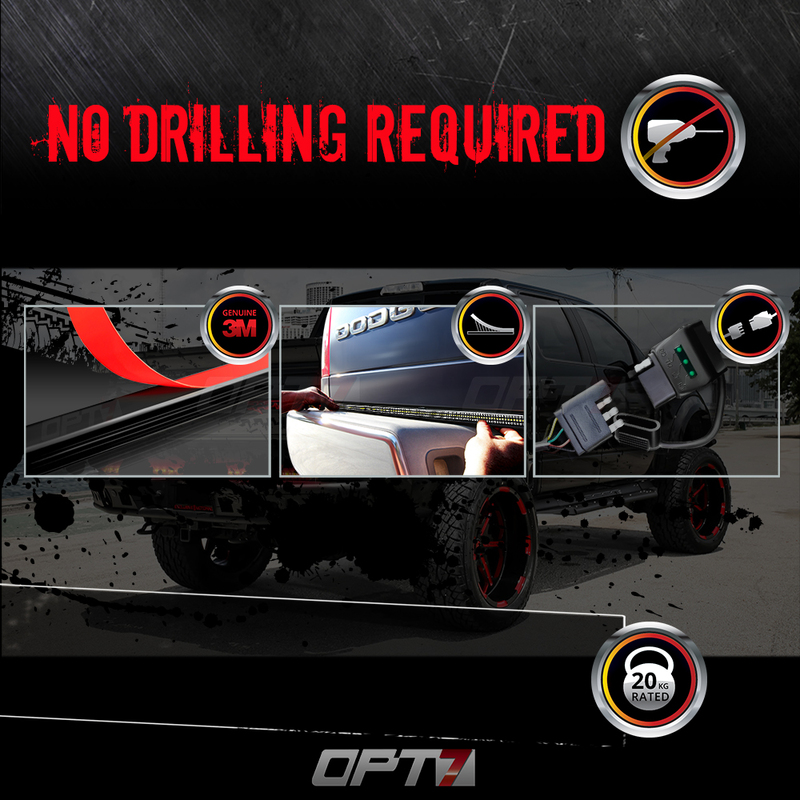 No Fuss Installation, No Drilling Required!